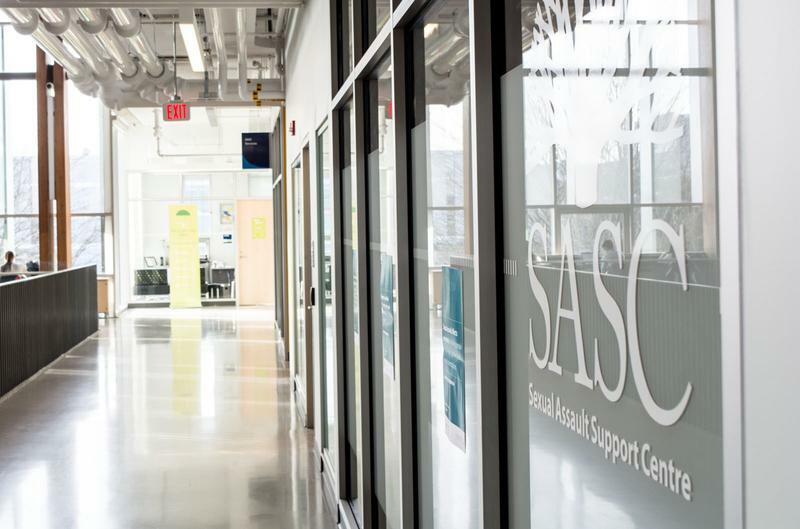 The Sexual Assault Support Centre (SASC) is introducing three support groups targeted towards the preservation of student mental health on campus to augment their current options of therapeutic aid. The groups will be launching in the next few weeks. SASC assistant manager Josey Ross noticed the need for such special groups through the recurring themes that emerged during her sessions with students — healthy relationships, emotional empowerment and the self-care specifically of activists. The group that focuses on the self-care of activists will take the form of monthly sessions starting in January for those engaged in social justice. It is free for drop-ins. The two other groups will both be weekly sessions. The support session focused on healthy relationships will be an open group, although Ross encourages participants to come see her prior to assess whether the group is a good fit. The empowerment and well-being topic will be closed once the sessions begin next Thursday. The hope is that having the same group of people each week will create a tight-knit community of support, especially as very personal information will most likely be exposed. “We live in a society that continually tells people that they’re not good enough and these messages really impact us both emotionally and psychologically,” said Ross. The empowerment and well-being group targets people that have experienced some form of gender-based oppression and aims to counter these negative internalizations. SASC maintains a firm stance that the decision to report an assault claim should be entirely dependent on the survivor — unless that freedom infringes on the safety of others. In light of this, the groups will serve as a space to speak freely regardless of whether or not any incidents have been officially reported. While the UBC administration is currently still in the process of crafting a policy specialized for sexual assault, the timing is simply a coincidence. The groups were not created in reaction to last month’s exposure of UBC’s flawed system of dealing with sexual assault complaints. Ross said that this plan has actually been in the works since May of last year and aims to also target people that are not assault survivors. However, later in the semester, they also plan to launch a fourth group for survivors of sexual assault in particular. All of the groups will be free for whoever may want to participate. “If you’re interested in [one of the groups], it doesn’t matter the specifics of your situation. We would love to have you come,” said Ross.